We collect all year round for OPERATION CHRISTMAS CHILD. Please drop all donations in the office. As always, we accept donations all year long. We are always in need of toothpaste, toothbrushes, soap, combs. Just drop them off in the box in the entryway. 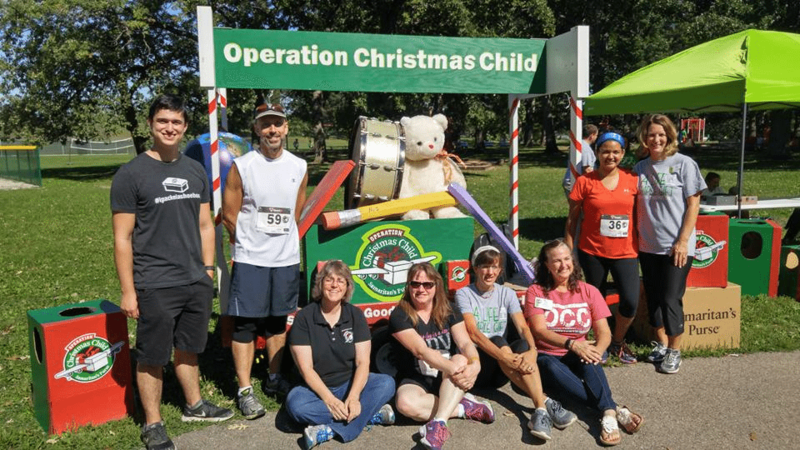 Be a part of the Operation Christmas Child Team or sign up to receive emails about OCC events. Operation Christmas Child through Samartain’s Purse is an international ministry bringing Christ and hope to the world. For more information watch their information videos to learn how you can help spread the Gospel through a shoe box. Donations are accepted to help cover the $9.00 per box shipping cost. If you would like to get a personal email from Samaritan’s Purse to find out where your packed shoe boxes got sent or to make an onlin donation go to Samaritanspurse.org. Click on the Operation Christmas Child tab and the “follow your box” link.